MarkDaniels.Blogspot.com: Thanks to our veterans, including my Dad! Thanks to our veterans for your military service. 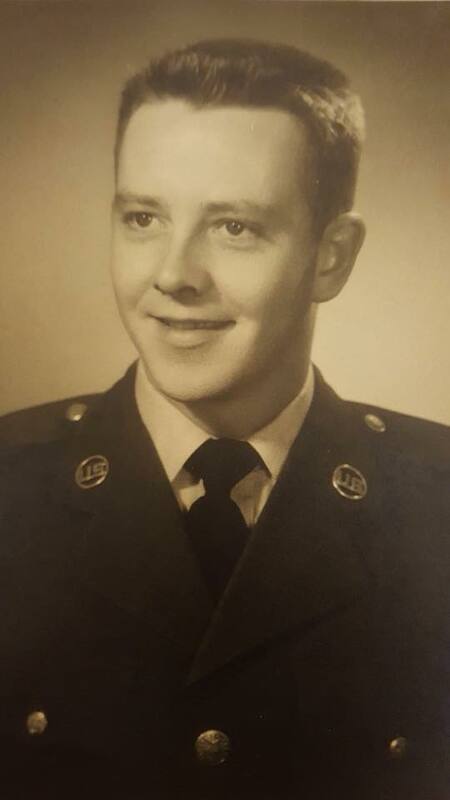 Below, first, a picture of my dad from his days serving in the Air Force. In the other picture, Dad is seen with his Honor Flight sponsor this September. It was to stoke my patriotism and love for our country’s system of government that he and Mom took me to DC for the first time when I was five. They took us all to many places to foster our love for America: Gettysburg, Philadelphia, Lincoln’s home and burial place in Springfield, Illinois, FDR’s home at Hyde Park, Mount Vernon, Monticello, and many spots here in Ohio. “When it became clear to me that you loved Eisenhower--and spoke to me of shaking his hand as he left Europe, where he served as NATO commander, to come back home to run for president in 1952, I came to like Ike too. After lots of study, he’s still one of my own personal Mount Rushmore presidents, along with Washington, Lincoln, and Franklin Roosevelt. But that started with you! “One of the lessons I also learned from you about patriotism is the necessity of civilian commanders-in-chief in our presidents. Even Eisenhower resigned his commission before running, since our military officers should always be apolitical...And you also taught me--and Ann’s dad, a navigator for B-24s in the South Pacific during World War 2, agreed with this--that generals like MacArthur, glory-hounds who don’t care about the non-comms he sent into battle, need to be reined in or drummed out! Thanks to all the veterans who served our country in the Army, Air Force, Navy, Marines, or Coast Guard. And thanks to the vets who, like Dad, came home and taught their kids about our country and its history.